A while ago, I shared with you some of the favorite dining locations of our travel pixies at OLP Travel. Today I’m back to follow up on that blog by sharing the travel pixies’ favorite resorts for various ages and stages of Disney vacationers. So let’s get started with some resort fun! The first group I looked at was families with toddlers and small children. This is such a special time when all the magic of Disney comes alive in the eyes of those little ones. So you want to make sure the resort you choose will be special and hold it’s own spot in your magical memories. The top two resorts we recommend for this time of life are Disney’s Art of Animation Resort and Disney’s Pop Century Resort. While all Disney resorts have their own special magic and these may not be the perfect fit for every family, we feel they hold a lot of the characteristics that are important to young families. Disney’s Pop Century Resort offers larger than life icons of fun stuff from days gone by and more recent days. It’s divided into sections which each span a decade. The themed pools are a blast for kidlets and parents alike! Plus, this is a value resort, so it’s a fun AND affordable option. 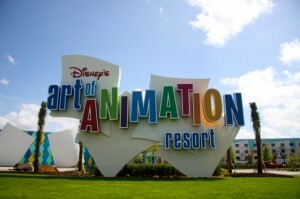 Disney’s Art of Animation is the newest of the value resorts. It features fun themed family suites (Cars, Lion King, or Finding Nemo) to give a little extra room for those growing families or great themed standard size rooms (Little Mermaid) for those who don’t need the extra space or are big fans of Ariel and her fishy friends! While this is also a value resort, you will find that room rates are higher than those at other value resorts because of the added size of the family suites and the added theming of the Little Mermaid standard rooms. 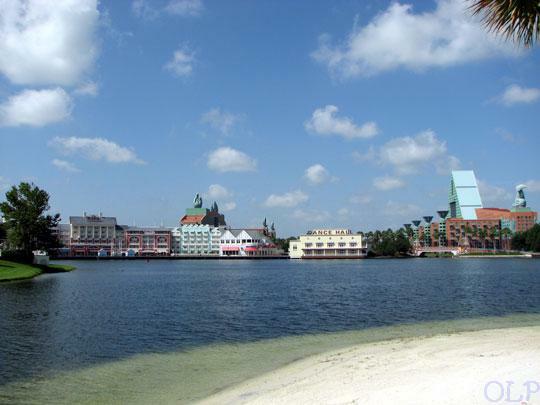 only a five minute walk to EPCOT, a 15 minute walk or boat ride to Disney’s Hollywood Studios, and a 3 minute walk to Disney’s Boardwalk, convenience is key for this resort. While the rooms are beautiful and the resort is super relaxing, the biggest draw is it’s pool: Stromalong Bay. 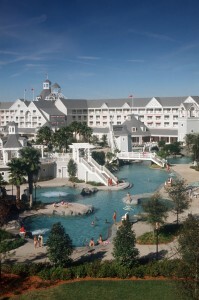 This is, quite honestly, the best pool at WDW (not counting the water parks). It features a half sunken ship, a big slide, a sand bottom, and even has it’s own lazy river. 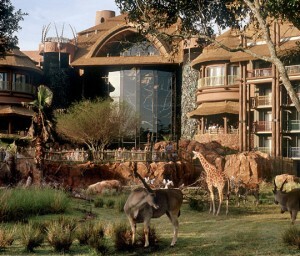 Seriously, this is one amazing resort. Let’s move on to our honeymooners! You love birds are looking for something magical AND romantic. And we have just the resorts for you! 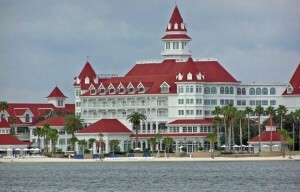 The first is the iconic Grand Floridian Resort and Spa. You’ve seen it in a million pictures. It looks straight out of a post card with it’s seaside charm and elegance. 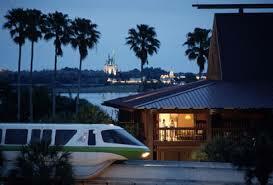 It is only a boat or monorail ride away from the Magic Kingdom and a monorail ride away from EPCOT. Some rooms include views of the Magic Kingdom, too. The dining at the Grand Floridian is exceptional as well. From romantic meals to fun character experiences, it can all be found at this resort. 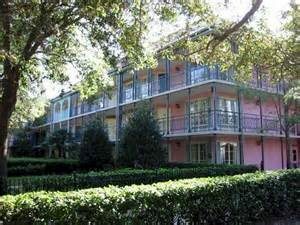 Another great option is Disney’s Port Orleans French Quarter Resort. At this resort you get to enjoy something very special: a small, cozy environment. This is the smallest of all the resorts on WDW property (though it is connected by a walkway to Disney’s Port Orleans Riverside Resort as well) and that gives it a very special feel and charm. With it’s New Orleans decor and even horse drawn carriage rides, you’ll certainly feel romantic. Plus you can also take a boat from this resort down to Disney Springs. The ride is wonderful and will be a great way to relax going either to Disney Springs or coming back. Last but not least, we come to those couples who are empty nesters or traveling with adult children. This is a wonderful time of life to visit WDW. You’ll discover new adventures that you never noticed when you were traveling with younger kids. The pace can be as quick or leisurely as you choose and it’s all about YOU. Disney’s Polynesian Resort is a wonderful choice for you folks. With it’s wonderful tropical decor as well as being located right next to the Magic Kingdom, it’s like it’s own oasis. Traveling to the Magic Kingdom is as simple as catching a boat or monorail. Traveling to EPCOT is as simple as catching a monorail. Many rooms include views of the Magic Kingdom as well. Dining is spectacular with locations including ‘Ohana and Kona as well as the Spirit of Aloha Dinner Show. 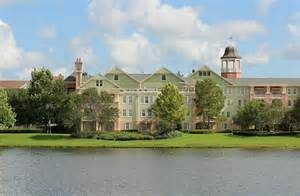 Another great option is Disney’s Saratoga Springs Resort and Spa. This beautiful resort is located right next to Disney Springs. You can walk over or take a boat to enjoy all the dining, shopping, and entertainment that Disney Springs has to offer. You’ll love the beautiful scenery reminiscent of a quaint Victorian retreat in upstate New York. There is also an on-sight spa where you can pamper yourself and relax. Well there you have it! Those are our top recommendations for many ages and stages of folks visiting WDW. As I mentioned before, these may not be the perfect fit for every guest, but don’t worry! 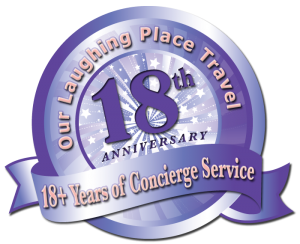 Any of our travel pixies will help you explore all the options to find your perfect resort as well as help you plan a vacation that’s ‘practically perfect in every way’! Previous PostDisney’s Hollywood Studio NewsNext PostOrlando Is Not Just Disney, It’s Universal Orlando, Too!